Electrostatic ion cyclotron instability pertaining to the higher harmonics of proton and helium cyclotron modes is investigated in three-component magnetised plasma consisting of beam electrons, protons and doubly charged helium ions. 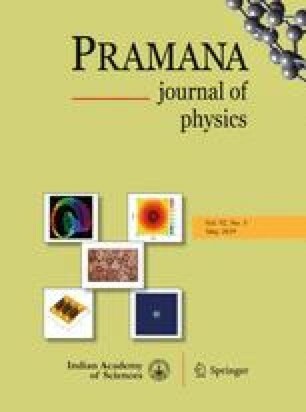 The effect of different plasma parameters, namely, angle of propagation, number density and temperature of helium ions and electron beam speed, has been studied on the growth of proton and helium cyclotron harmonics. It is found that an increase in angle of propagation leads to the excitation of fewer harmonics of proton cyclotron waves with decreased growth rates and higher number of helium harmonics with decreased growth rates. Also, largely odd helium harmonics are excited, except for one particular case where the second harmonic also becomes unstable. The number density and temperature of ions have significant effect on the helium cyclotron instability compared to the proton cyclotron instability. Further, as the speed of electron beam is increased, the peak growth rate increases. Our results are relevant to laboratory and space plasmas where field-aligned currents exist. GSL thanks the Indian National Science Academy, New Delhi for support under the INSA Honorary Scientist Scheme.